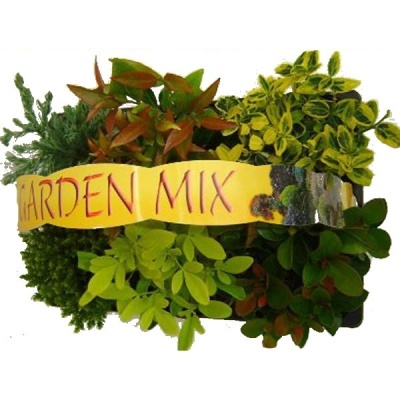 Garden Starter Shrub Six Pack 9cm Pot Plant Mix provides an excellent value outdoor shrub assortment for all year round colour. Ready-to-plant shrubs for use in pots, borders, window boxes or any deep planters, which will grow into very mature plants. 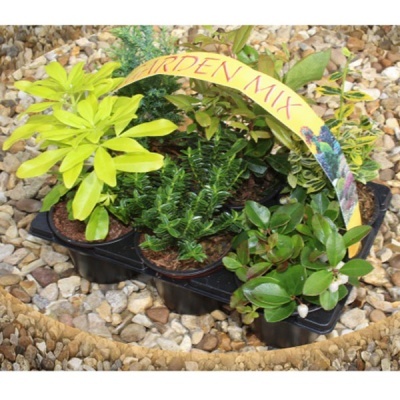 All varieties are suitable for planting in any soil as long as it is free-draining in sun or partial shade. Range of shrubs selected all offer colour at different times of year, and grow and return year after year. Pack of 6 Shrubs are supplied (shrub variations may occur due to seasonal availability at time of order).